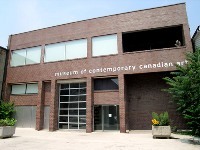 The Museum of Contemporary Art, Toronto Canada (MOCA) looks to exhibit, research, collect and promote innovative art by Canadian and international artists whose works tackle the most relevant issues of our times. Formerly the Museum of Contemporary Canadian Art, the institution has been praised for its incisive, artist-centric approach to programming, and its friendly visitor experience. MOCA is very much a hub for creative exchange, and is definitely worth a visit. Opening times: Open Monday, Wednesday, Thursday, Saturday and Sunday, from 10am-5pm. Open Friday from 10am-9pm. Closed on Tuesdays. Admission: Adults, C$10. Under 18, free.